The second book in the bestselling 'Manx Connection' series is now free for a very limited time to the first people to stake their claim - you just need to tell me where to send it. In Chasing Paper, the first book of The Manx Connection series, Sandy Ferris proves to be a deadly adversary. Her father, Nick, has no qualms about her habits - he himself is an expert at avoiding the law. But their heist on the Isle of Man goes catastrophically wrong at the last moment. 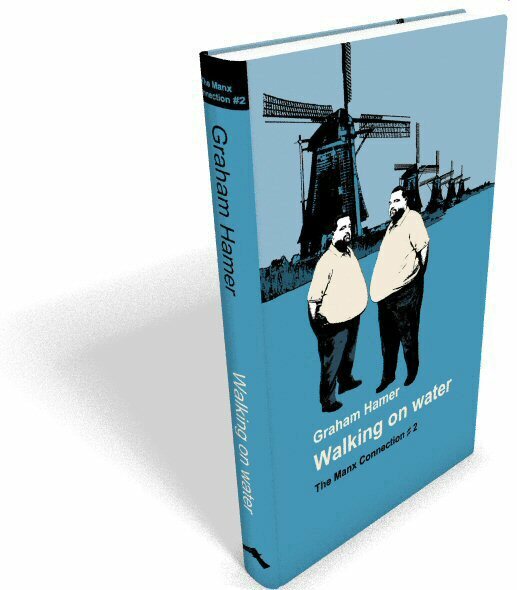 Walking on Water finds Sandy and her father in a small, windy, waterlogged, overpopulated country where the rain drives horizontally - every day. Instead of basking under the warming rays of Caribbean sunshine, the nearest Sandy gets to the sun now is when she stands too close to the microwave. Life can be a harsh master sometimes, but Sandy and Nick Ferris are expert survivors and never have a problem finding ways to turn a quick buck. Where shall I send your book? YOUR PRIVACY: Your email address will only ever be used to send you the free book and advise you of any further special deals from me. I will never, ever spam you. You can unsubscribe at any time. "The writing crackles with energy" "A real page turner"